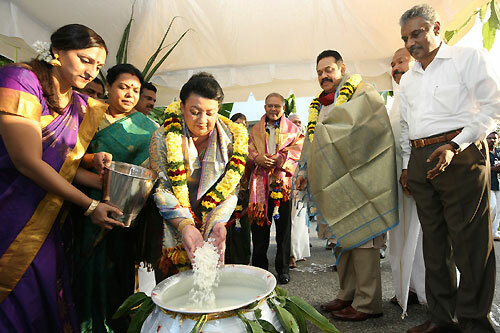 The National Thai Pongal Festival was held on a very grand scale under the patronage of President Mahinda Rajapaksa and First Lady Shiranthi Rajapaksa at the Temple Trees today on 16 January. The celebration area was decorated with flowers and other colourful traditional decorative items and Kolam was also drawn in the premises. 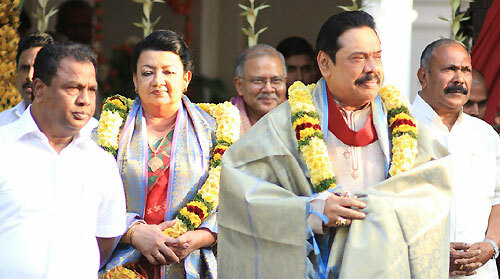 The President and First Lady were garlanded and warmly received in traditional manner on arrival to the celebrations. The Pongal was made in new pots and pans rested on a new hearth. Rice, Dhal, Sugar were added to the pot filled with milk and Pongal was cooked in it. 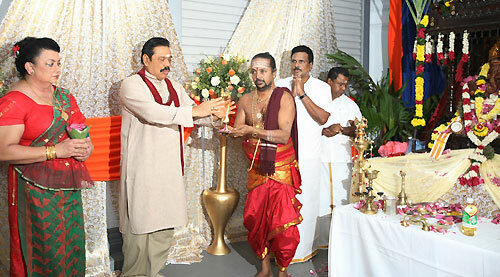 Mrs Rajapaksa followed the Hindu tradition by putting a handful of new rice into the pot. The Pongal was made in front of the statues of God Vinayager, and the God Suriyabaghawan and sweet meat, fruits, coconut, betel, aricanuts, and sugar cane were placed before the statues of God. After making blessings for the President, the people of the country and for the prosperity of the country, the Prasadam were distributed to all participants. 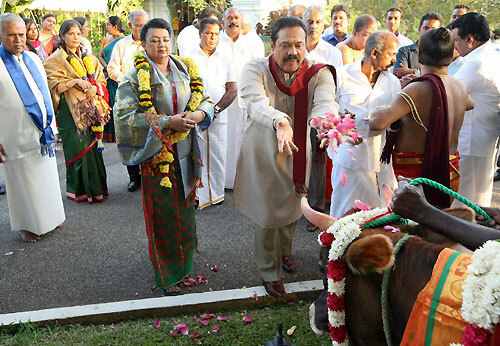 The President also participated in Hindu religious activities, the highlight of the celebration Komatha Pooja and also offered food to farm animals. 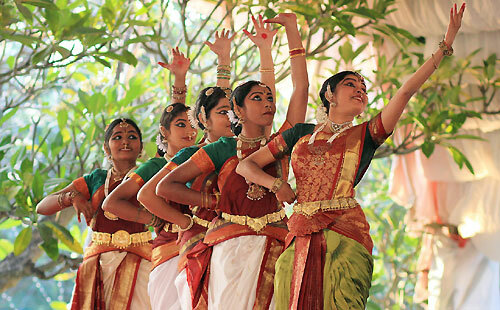 The function made colourful and melodious by cultural events and Nadaswaram music. 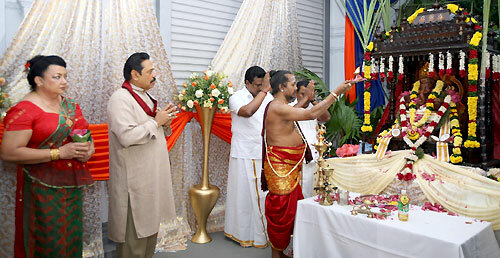 Indi­an High Commissioner in Sri Lanka Ashok K. Kantha, External Affairs Minister Prof.G.L.Peiris, Eelam People's Democratic Party leader and Traditional Industries and Small Enterprise Development Minister Douglas Devananda, Buddha Sasana and Religious Affairs Deputy Minister M.K.D.S. 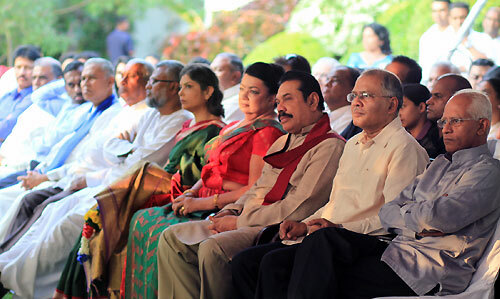 Gunawardena and President’s Secretary Lalith Weeratunga were also present. 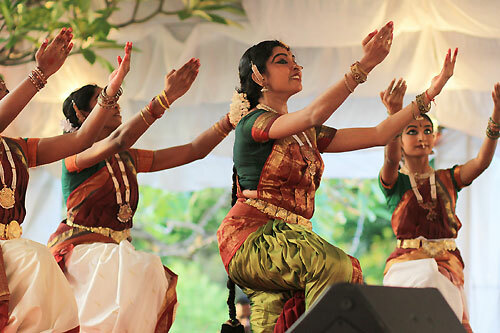 A large number of Hindu devotees also participated at this function. 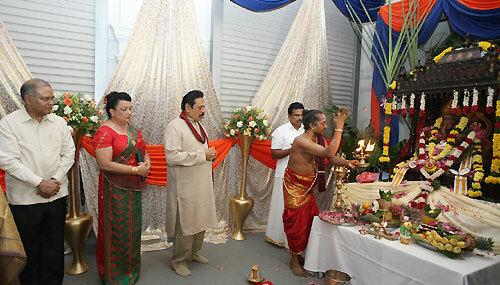 Pictures are seen here President Mahinda Rajapaksa, First Lady Shiranthi Rajapaksa and Indian High Commissioner Ashok K. Kantha participating in Thai Pongal observances and religious dignitaries and distinguished guests enjoying the cultural show.